As a child who grew up in church, memorizing Scripture was a game that let you win prizes. In Sunday School or at camp or at Vacation Bible School showing up with a verse from the Bible that you could recite led to a reward. Sometimes it was a sticker on a chart, or points for a team you were on, or even just the “well done” of one of your leaders. I was good at memorizing things, so I did well when given these kind of contests. And if there was one thing I loved – it was winning. Fast forward about 20 years to my life as a Seminary student. One day I was asked to read Scripture in our chapel serve – the fifth chapter of Mark (my very favourite story in Scripture). I decided that I would memorize it, so that I could present it like a dramatic reading. I loved seeing people’s hearts stirred as they heard an old story in what seemed to be a new way. A couple of months later I was asked to read again, this time for the annual “Festival of Preaching” hosted by the school. It was to be one of the biggest conferences in the event’s history. Barbara Brown Taylor – named “one of the twelve most effective preachers in North America” just 7 years before – was to be the guest. Admittedly, I had never heard of her, which was probably a good thing. I was asked to read just a couple of days before the event, but I decided I would memorize the passage, a chapter from Ezekiel. Now, to me, passages from Ezekiel are a LOT harder to memorize than a story from Mark. And I only had a couple days. But I was determined. The night before the event I recited the chapter over and over and over and over. I was confident I had it down. And then there I was on this Saturday at McMaster University in a room with 400 preachers from all over the province, and, as mentioned, Barbara Brown Taylor. I got up to do my Scripture presentation. 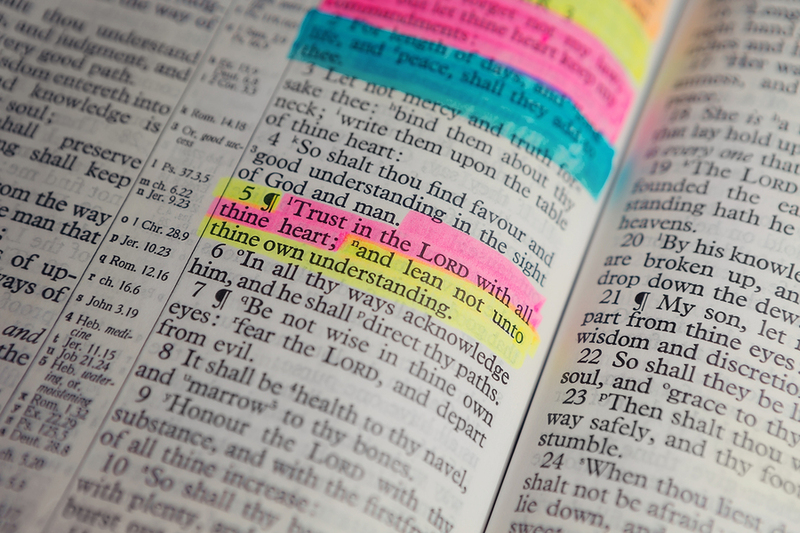 I didn’t carry a Bible with me – I was sure I knew it. And then – you guessed it – I totally forgot them. Total blank. No Bible to save me. I stumbled. Long awkward silence. I started over. I got to the same place and forgot again. After what seemed like one million hours, someone in the audience found the passage and whispered the start of the verse to get me back on track. I fumbled through, got to the end, and sat down, thinking this would be a great time to have an Old Testament moment of God splitting the earth so it could swallow me whole. I was, in an exercise of understatement, embarrassed. The worst thing is rarely as disastrous as you think. You know what? That conference wasn’t about me, and I was just a blip in an otherwise amazing day. It can be good to be humbled. It reminds you the world doesn’t end when you mess up. Sometimes we won’t try things because we’re afraid to fail. When you totally screw up in a big way and realize the world kept spinning – it’s good. Memorizing Scripture can be hard. It’s actually number 3 where I’d like to plant today. We have been talking at Mount Hamilton about growing as disciples. This week we talked about the role that knowing Scripture plays in our life. We acknowledged together that, when people follow Jesus, we do usually want to know the Bible more. The issue is that it can be hard, for a lot of reasons – it’s confusing, it’s hard to read, we don’t have time, we get quickly overwhelmed. Yet, we still know it’s important. This week I suggested that we perhaps try ONE practice to know Scripture better, just ONE. I suggested Memorization. When I said this, there was an AUDIBLE GROAN from the congregation. “Memorization?? That’s the WORST ONE!” the groan seemed to say. Hey – I get it. I’m the one who blanked on Scripture in front of 400 people!! And here I am still telling you to try it. I say this because even with the struggles like this one, I have spent my life grateful for the words of Scripture I have learned throughout my journey. Now I see that the real prize wasn’t the stickers or the points but the moments when God’s word came to my heart when I needed it most. When I looked in the mirror and hated what I saw and remembered Psalm 139: 14 which said “I praise you because I am fearfully and wonderfully made…all your works are wonderful…” In moments of anxiety when from my heart I remembered God saying: “Do not be anxious about anything…but in everything, with prayer and petition present your requests to God, and the peace of God which transcends all understanding will guard your hearts and minds in Christ Jesus (Philippians 4:6-7).” When I stood over death beds, including my own sister’s, and heard myself saying: “If we live, we live to the Lord and if we die, we die to the Lord, and so whether we live or die, we belong to the Lord” (Romans 14:8). And knowing it was true. I don’t care if you can recite a whole list of verses so that you can impress others, but I care very deeply that the flock under my care can recognize the voice of God. One way to do that is through putting God’s word in your hearts. So my challenge this week was simple: One verse. One phrase. One line. I promise it will be more gift than burden. And I promise to never ever ever ask you to recite it in front of 400 preachers. I definitely don’t want memorizing references to stop people from trying to memorize Scripture, but I do think there is value in knowing them (besides just for impressing people :)). If you want to share a Scripture verse with a friend who is seeking to know the God of the Bible, I think it is ideal to be able to point them to the verse where it is in the Bible so that they can get there again themselves. Even just having them read it right out of the book can sometimes be a lot more powerful than hearing you recite it to them! Great point Amanda! Thanks for sharing!